It’s a Sunday and in a attempt to amuse myself I’ve gone shopping. 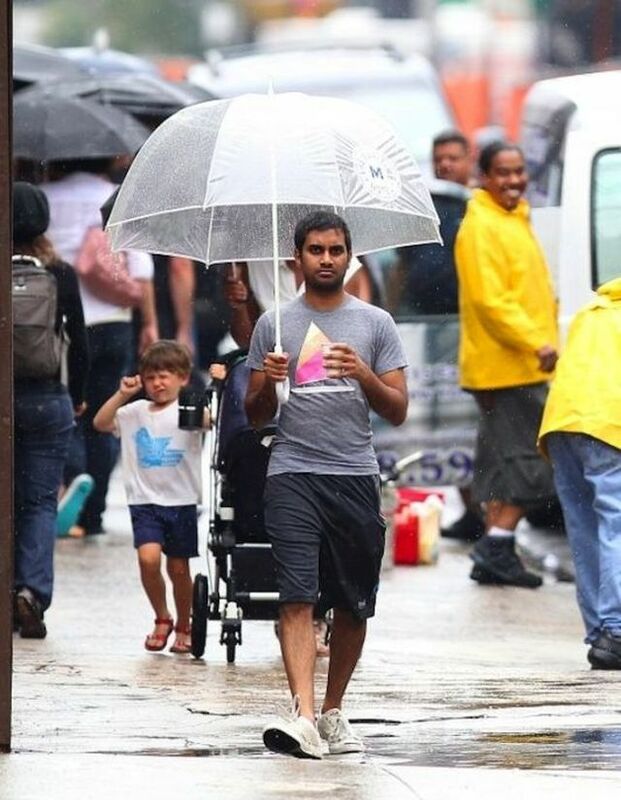 There is a photo taken of Aziz Ansari walking with a large clear umbrella, and holding a ice cream cone with three scoops in the other. All eyes are on him. He has the attention, but nobody to share the ice cream with. I feel like him right now, although the attention isn’t on me. I feel like it is though. There is something sad about seeing someone shopping alone, even though I know it more practical. I am carrying my bag of purchases in one hand, and I have my phone in the other. Holding my phone is very Jeff Winger of me. I hold it as though I’m seconds away from getting an important call. I’m not though. When I was a kid I knew I never wanted to be an actor because of the uncertainty that comes with the job. How did I become a struggling “content creator”. That term is a laugh in itself. Is that just a made up term for people that are making money while not really doing anything? Am I being to shady now? Probably. The shade is coming from the frustration. I’m busking every day and getting thrown ten cent pieces. She takes just like a woman. And then she aches just like a woman. Today the world was introduced to Caitlyn Jenner. The photo’s were amazing, but I think Laverne Cox said it best. We should focus on her inner beauty, and how her true shelf can finally be released.